La Casa de Campo – If it’s fresh air and exercise that draws you to the city of Madrid, then you will be happy to know that one of the city’s main attractions is the La Casa de Campo, a large woodland and activities area. This extensive park is covered in trees, and has a large lake with boats, a swimming pool, and tennis courts. Just simply walking around the park provides an unparalleled look at the beauty of the Madrid Parks, and gives travellers a chance to get out and stretch their legs. 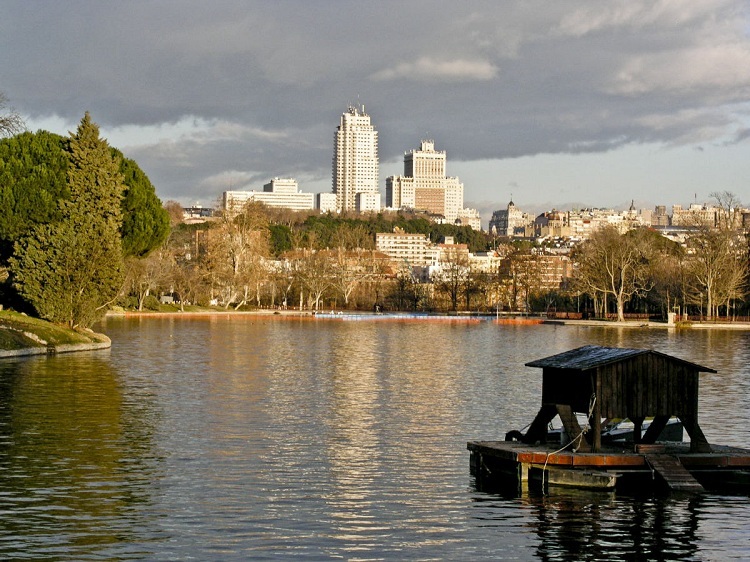 The park is also home to the Zoo of Madrid and the Parque de Atracciones. In the past, La Casa de Campo was once the hunting grounds for Felipe II. It was also a royal park. Now it is an area for public enjoyment. The zoo here is extensive, and it contains nearly three thousand animals. Visitors will be pleased to know that the dolphins and parrots perform several shows daily, while the amusement park provides rides, restaurants, and bars. 3(n then La Casa de Campo won’t fail to deliver the goods.